After Discovery's Shark Week, Landshark attacks jumped up 4000% this weekend. Pro Wrestler Funkmaster V lives in the danger zone, and during a phone call with Lenny Kravitz, he experiences what could be a deadly new predator. If you enjoyed this video, THANK YOU! We produce new material every week, so by all means, please subscribe to our channel. YouTube has changed their monetizing policies and we need to hit a certain amount of subscribers to start making bux again. If you help us out you can contact Big Luke on obtaining a lock of his hair as reward. Action Bag News and Big N Funky Productions break the story of the tragic death of Donkey Kong... who died this weekend at the Sunshine Airport track racing for the Star Cup 200cc Championship. Feta Underwood, Sledge Bernifice and Speedy Handgugger reporting. 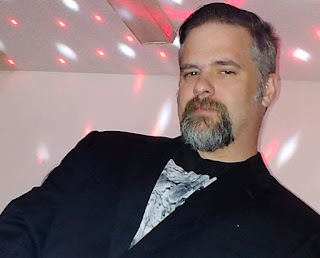 A pretty sweet look into my thoughts on marijuana and my past civil service. The reporter apologized about the headline, because the editor made him change it, but it didn't bother me. 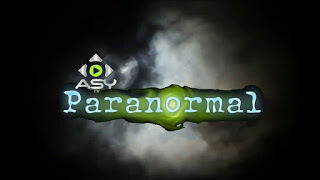 Ghost hunting is cool, although its about 5th on the list of things that I'm interested in. Ranking higher on my list is this: Fighting for your damned freedoms... whether you like me or not. Here's the link to this well written article by Colby Denton. Vinnie Vineyard stands in his home office, the headquarters for Funkmaster V's Uptown Cabs of Renown, on Wears Valley Road in Pigeon Forge. 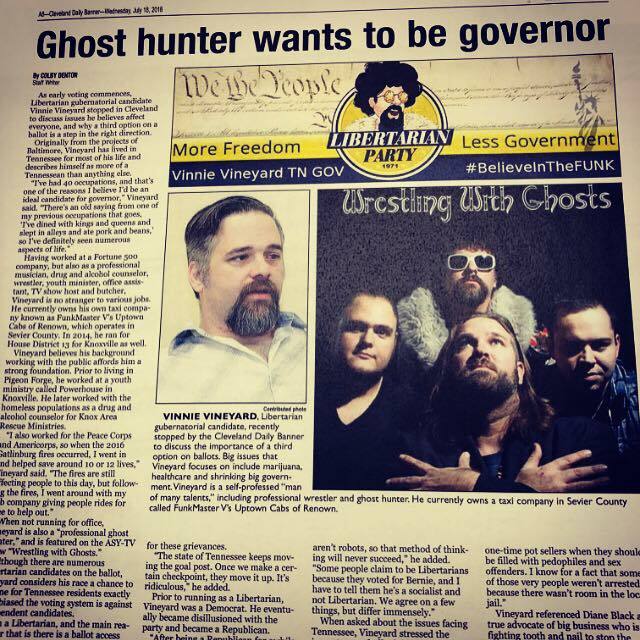 Vineyard is one of a multitude of independent candidates running for governor this August. 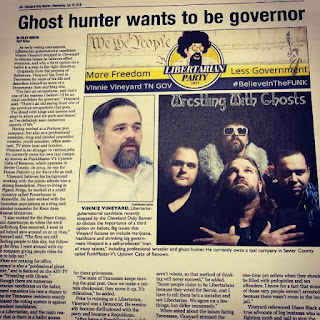 PIGEON FORGE -- Fed up with what he sees as a two-party stranglehold on U.S. politics, local businessman Vinnie Vineyard decided to get involved.